On the cute scale, I think koalas rank about a 9 – right up there with pandas and piglets. They’re definitely one of the cutest animals in the outback. My friend Sharon knows koala cuteness. In Melbourne, Sharon teaches classes in fiber arts and runs the blog gentlestitches, which features patterns for her aussiegurumi, the name she’s given her adorable crocheted creations. I made this koala using her pattern. The goatee was my own addition. I’ve always thought that koalas look like they have goatees. You can make a koala, too, with her free pattern. Categories: Crochet It | Tags: amigurumi, aussiegurumi, Australia, crochet, cute, diy, gentlestitches, koala | Permalink. 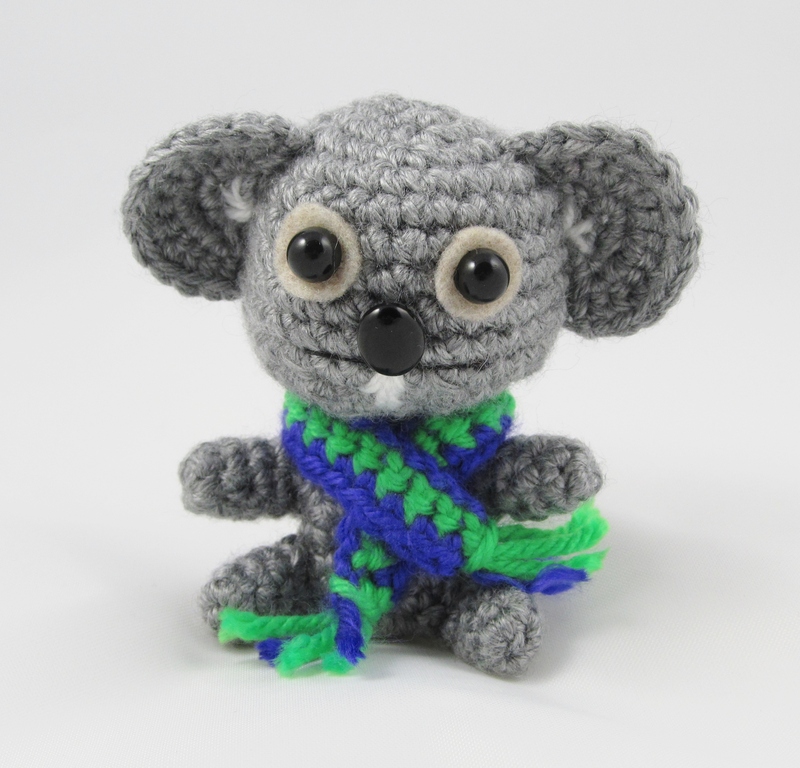 so pleased to see this lovely little Koala “in the yarn” made by Jennifer from SQUIRREL PICNIC. Always a pleasure to see a design made up. Thanks, Sharon! And thank you so much for sharing your koala pattern. It was a lot of fun to crochet. I think the ears are my favorite part. You are very talented!